As a young boy, Curt Holder spent hours drawing maps, tracing over the family atlas with pencil onto white paper before adding roads, rivers, the largest cities. He made thousands over the years and kept them in three-ring binders. 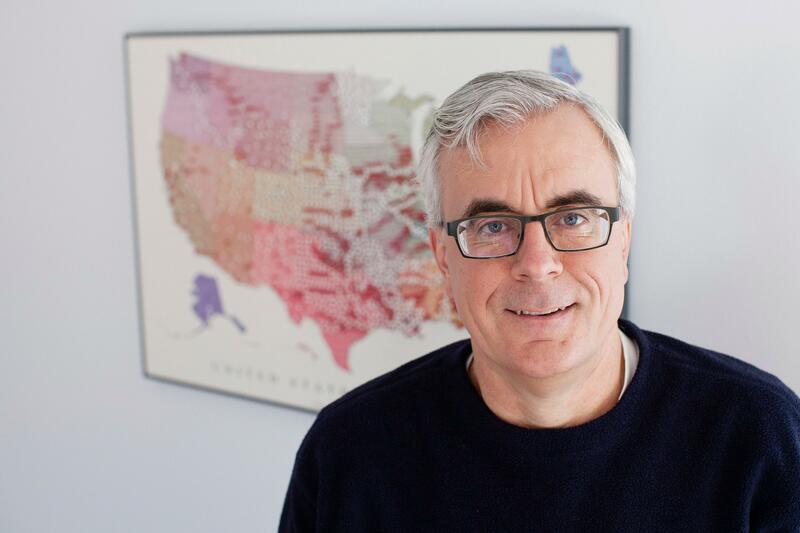 “Maps were like literature to me,” he said. “I was exploring the world, and I found my state of happiness.” On family road trips, he followed along on maps, wanting to know where he was and where he was going. In many ways, he’s been a geographer since he was a child. But Holder, a UCCS professor and chair of the Geography and Environmental Studies Department, hasn’t always wanted to share where he came from. His parents divorced when he was five, his father largely absent from his life. Holder and his siblings moved with their mother from Indiana to rural North Carolina. They lived in poverty in a single-wide mobile home on his grandparents’ property. Holder’s high school guidance counselor encouraged him to apply to Clark University, a private school in Massachusetts known for its geography department. He attended with financial aid, becoming a first-generation college student. But among his seemingly affluent classmates and professors, he quickly questioned whether he was smart enough, and he was embarrassed about his childhood. So he kept quiet. His senior year when a university administrative assistant handed him some sweaters for winter, he felt comforted yet exposed, realizing at least one person saw through his facade. He graduated in 1988 with a bachelor of arts in geography, followed by a two-year stint with the Peace Corps in Guatemala. He received a master of arts in geography in 1992 from the University of Georgia before returning to Clark University for a doctorate in geography in 2000. Holder, 52, who joined UCCS in 2001, carried his secret throughout graduate school and into his academic career, sharing it only with select people. It wasn’t until four years ago that he started talking more openly. “Things started to shift when I became a full professor and I truly recognized that I was OK, that I was secure, financially and emotionally,” said Holder, who credits his wife for helping him open up; she’s also a first-generation college student from a working-class background. After hiding parts of himself for so long, he didn’t want to anymore and thought of ways to get his story out. Holder enjoyed reading personal narratives in Science, considered one of the top academic journals. So a year ago he submitted an essay about his struggles in college and his path to academia, doubting it would get accepted. But it did, and he’s received nearly 500 emails from people worldwide, all supportive. He plans to write a memoir and regrets not speaking out sooner because he’s come to realize he feels less alone when sharing his struggles. He hopes to empower others to tell their stories. “I start off my classes by introducing myself and sharing some stories, and I flat-out say I grew up in the rural South in a trailer with four other siblings and a single parent. 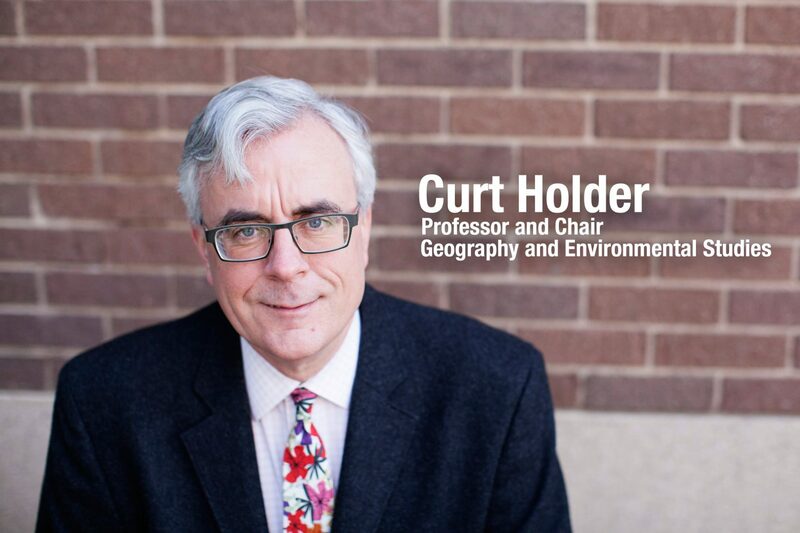 I let it out now,” said Holder, who asks students to call him Curt. He gave hope to student John Davis Jr. They had long talks about how they both grew up poor and felt out of place in college. But Holder assured him that by working hard, he could succeed academically, no matter his upbringing. “Once I saw that someone from a similar background had made it, my worldview changed and I decided I wanted to follow in his footsteps. 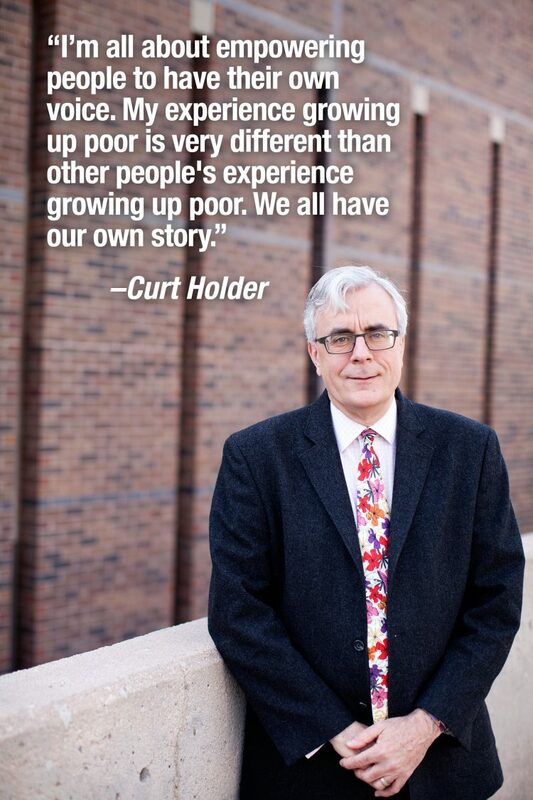 Curt is the reason I didn’t stop with just a BA. He made everything seem possible,” said Davis, who earned a master of arts in geography from UCCS in 2011 and works in the health care industry as a patient access representative. Holder has authored roughly 20 publications on geography. His research focuses on ecohydrology, biogeography, and human-environment interactions, examining the interactions between vegetation and precipitation and how changes in vegetation cover influence water resources for communities. He’s done extensive research in Guatemala for two decades, sometimes taking UCCS students with him. Holder has been going to the places he drew on maps as a boy. His lifelong goal has been to travel to all of the 3,142 counties in the United States (parishes in Louisiana and boroughs in Alaska). So far, he’s been to 2,229, or nearly three-quarters. A U.S. map that hangs in a hallway of his home keeps track of his travels, pushpins marking the counties where he’s been. He’s traveled to all 50 states. So proud to have been one of Dr. Holder’s students, and a member of the first group of students to accompany him to Guatemala. He’s an amazing professor, and his dedication to his work and to students’ learning experiences has been deeply inspiring to me in my own teaching efforts. We had similar upbringings; I’m glad he’s speaking about it now.